Meanwhile, pour oil into a medium saucepan to come about 2” up sides. Add shallots and set over medium heat. Cook, stirring occasionally, until shallots are golden and crisp for 10-12 minutes. Using a slotted spoon, transfer shallots to paper towels and season with salt. Strain oil into a small bowl and let cool. Toss cilantro dill, parsley, mint and tarragon in a medium bowl; set aside 1 cup for serving. Dissolve 1 teaspoon ground saffron in 2 tablespoons of hot water in a small bowl. Fill a 5-quart nonstick Dutch oven half full with water, bring to a boil and add 2 tablespoons of salt. Add the rice and boil over high heat until it is al dente and just starts to soften; this can takes about 5-6 minutes, depending on your rice (do not overcook it). Let stand for 2 minutes, then drain well. Wipe out the pot. Pour 3 tablespoons shallot oil into clean pot. In a small bowl, whisk the yogurt with the egg yolk and 2 tablespoons of the brewed saffron and drizzle over the oil in the pot. Gently scatter one-quarter of the rice into the pot (you want it to stay fluffy). Top with 1/3 of the herbs. Repeat alternating layers rice and herbs ending with a layer of rice. Cover the pot and set it over moderately high heat until it starts to steam, about 5 minutes. 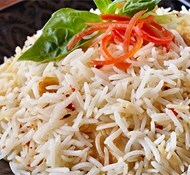 Uncover the rice and drizzle with the remaining 2 tablespoons of brewed saffron and 1/4 cup of boiling water. Scatter the butter slices on top. Cover the pot with a clean kitchen towel, then cover tightly with the lid and secure towel around lid. 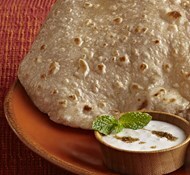 Cook over moderately low heat until the rice is tender and very fragrant, about 45-50 minutes. Scoop 1 cup of rice and mix it with the last 2 tablespoons of saffron water and toss to color the rice. 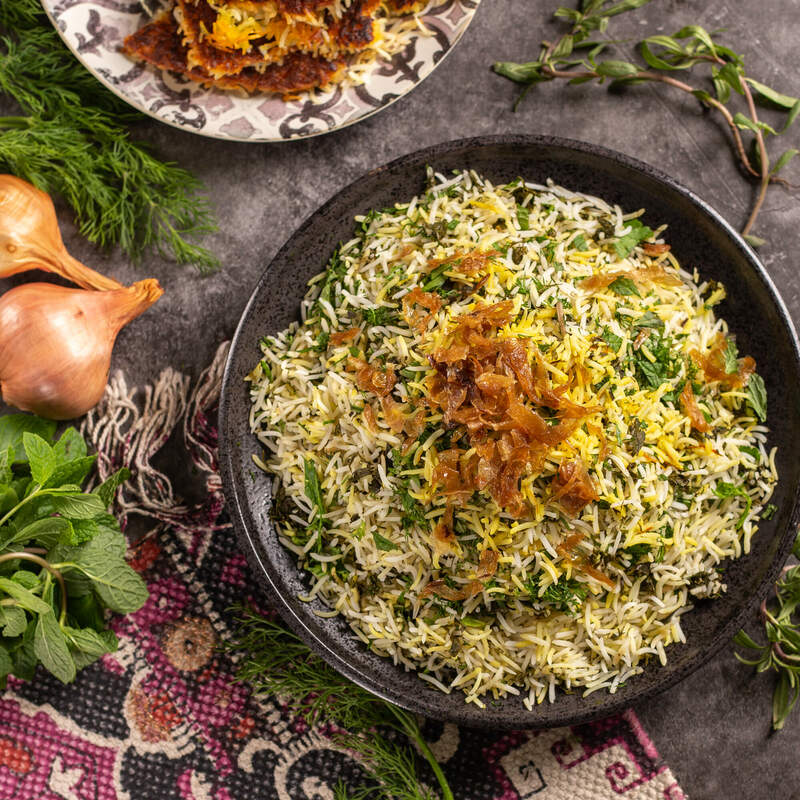 Layer saffron rice with rice in the pot, reserved fresh herbs, and crispy shallots. Break up the tahdig and layer around rice.